This is a great comic-jam that I created with two of my students at Right-Brained Studio during my comic book making class. 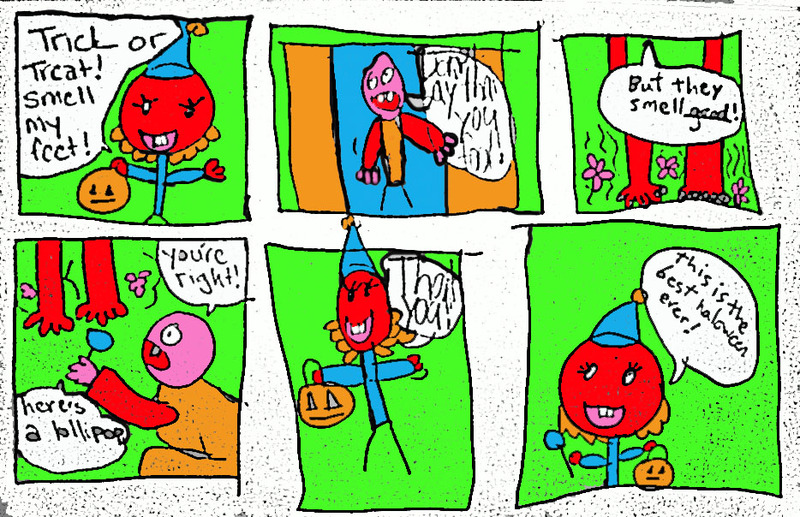 Comic jams are great exercises for beating writers block. We each took turns writing and drawing panels so the story would be completely unpredictable. I think this one is a perfect execution because it’s short, absurd and has a great punchline (and really the funniest parts were drawn by the kids). If you have thought about ordering a custom portrait from me now is a great time to do it…especially if you were considering giving a portrait as a gift. I will be taking orders until November 7th in order to have them shipped off in time for the holidays. Another reason to consider this is that I’m giving myself a big raise starting January 1st. 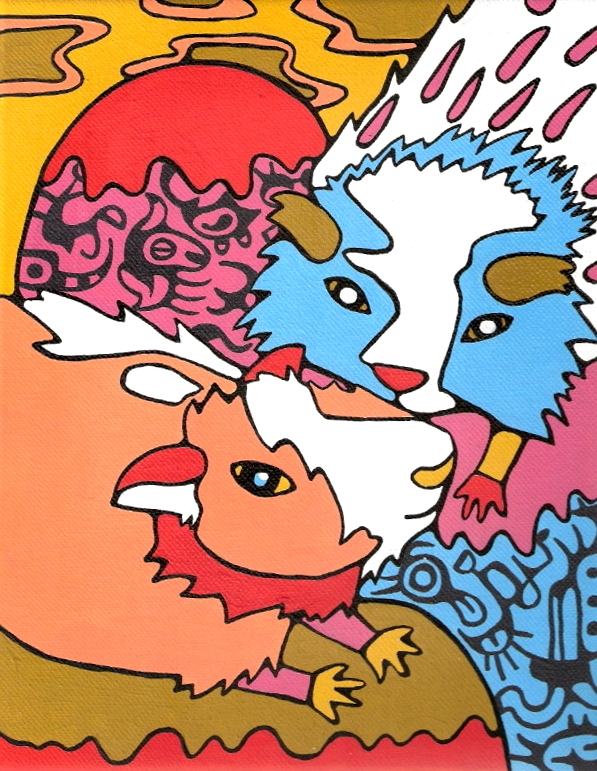 I offer my gouache paintings on 3/8″ thick artist board that is ready to hang (no frame needed). I also offer digital portraits which are sent via email (and you take care of the printing). To order a painting send an email to mintimindi@yahoo.com with some photos of the subject/s, and what size you want and I will get back to you with a total estimate (I add cost of shipping and insurance to orders). Artwork will not be sent until I receive full payment. Sizes are show in inches. Digital Portraits: $35 for one person/pet $10 per additional person/pet in same portrait. These are sent through email so there is no additional cost. A little elbow grease (and lots of fun) gets you a free e-book! 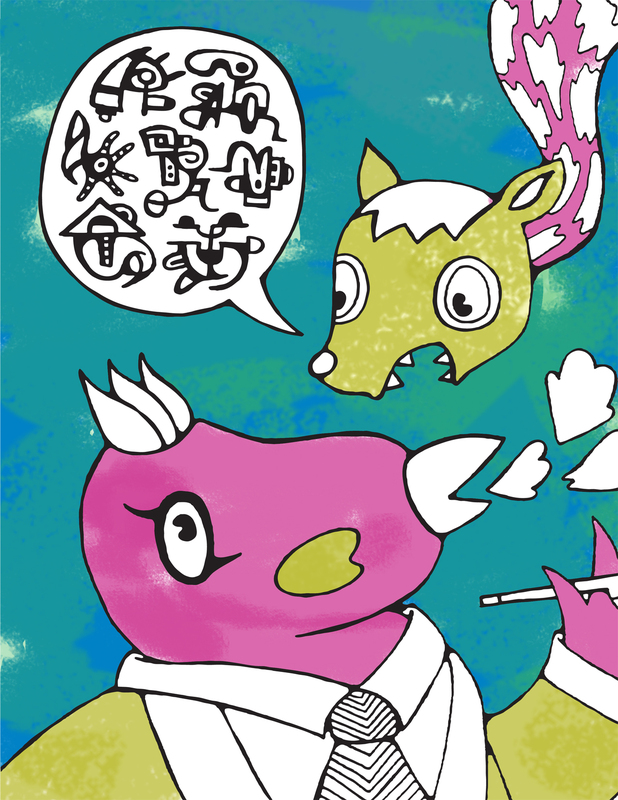 To promote my coloring book I thought it would be fun to have friends, fans and other artists to each color in a page. So far 10 people have agreed to participate, which means I have 14 more slots open. Anyone who participates will get a free copy of the e-book. As people send in their pages I will be posting them on my blog. Once I have at least 10 images back I will be putting them in my virtual 3-D gallery in Second Life. Each participant will get full credit and linked to anything they are working on if they wish. Feel free to come up with a caption to go along w/ the page and it might turn into an exquisite corpse story. Kids are welcome to participate too. How to participate: Send me an email to: info@ornaglyphology.com letting me know. I will send you your page within a day or two. When you are done just email me a scanned copy along with any other info you want to include. Once I get your colored in image I will email you the e-book! If you have kids you should check out Right-Brained Studio in Oak Park, IL. I will be teaching some sewing workshops there over the summer. One class will include creating felt cuffs/bracelets and the other will be cool creature pins (also sewn from felt). Right-Brained will also be holding week-long art camps and a graffiti workshop. For more info about times/dates and registration CLICK HERE! I haven’t added this one to my portfolio. I never quite got a decent photo but it’s one of my favorite custom portraits. Awhile ago there was this pay it forward kind of thing going around on facebook where people pledged to make something handmade for five of their friends. I only got around to making something for one of the people so far and this was it. I don’t know Kevin but he is part of Geneva 13. I was looking through his facebook photos and decided he has some of the cutest kids so I decided to paint them! 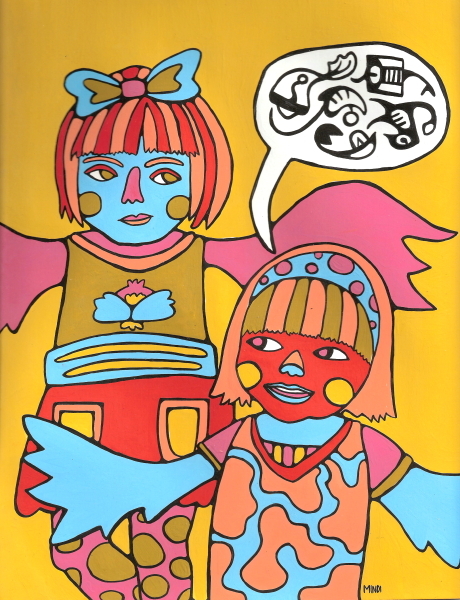 9×12″ on bristol board. gouache. I teach sewing and comic book making classes to youth at Right-Brained Studio in Oak Park. During the last session students worked on robot-themed projects. 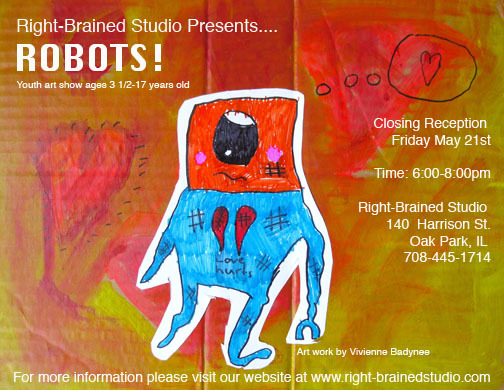 Kelly, the owner of Right-Brained, is putting together a closing show with all of the students robot-themed artwork. The first part of the show was held at Eye Want on Milwaukee Ave. in Chicago. I will be at this event creating custom robot-portrait coloring pages for anyone who wants one! Another artist, Kevin Christiensen will also be creating robot-themed artwork.